The Harley-Davidson name is seen on the gas tank of a 2017 Harley-Davidson Sportster Iron XL883N at a Harley-Davidson dealership, Wednesday, April 26, 2017 in Glenshaw, Pennsylvania. 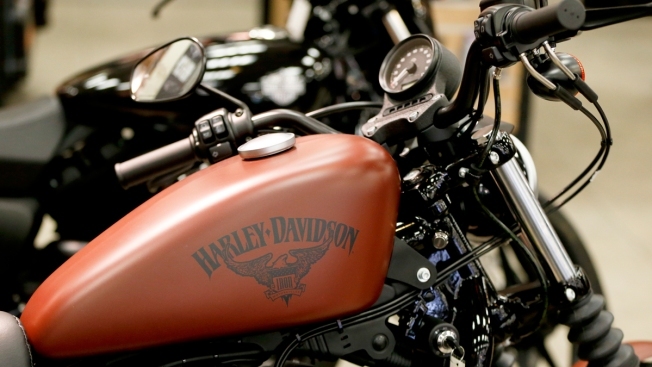 Eight college students or recent graduates will score Harley-Davidson internships. They must document their motorcycle adventures on social media. The interns get to keep their bikes at the end of the 12-week summer stint. Eight college students or recent graduates will have the enviable task of being paid to ride a Harley and share their adventures on social media. And the best part? They'll keep their bikes at the end of the 12-week internship. The Milwaukee-based motorcycle maker says it will teach the interns how to ride, compensate them for their work and travels, and let them keep their motorcycles. Harley-Davidson says it's looking for those that have the ability to create content on the fly, are creative and have the talent to take great photos and fun videos. Applicants must be 18 years older and looking to pursue a career in social media.